It's a great opportunity for all Yoruba Christian Brethren and all the Yoruba language lovers because now you can download Yoruba Bible app on your Smartphone for free. Yes ! I am right you can get it without paying a single penny. One can now download Yoruba bible app on their Smartphones or Symbian mobile just like other apps and can use it further whenever they need it. There will not be any penalty or violation of any norms. Note :- The thing which is important is that you may need to root your Smartphone in order to use this app. If you will not root your mobile device then this app might not work properly. You can have some bugs while using it. So it is advised to root your phone before installing this app. Who Translated English Bible To Yoruba Bible ? Samuel Ajayi Crowther translated the Bible into Yoruba language and concluded it in the mid-1880s known as "Bibeli Mimo". 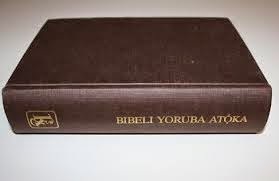 The complete Yoruba Bible was first published in 1884. In 1843 Rev. Dr. Ajayi Crowther translated bible from English to Yoruba Bible. He was a native of oyo state. He was working on it from some time and finally his work was published in Niger expedition. Beside this Rev. Dr. Ajayi Crowther also translated English Bible in some other language in Nigeria such as lgbo language in 1857 and Nupe language in 1860. He was ordained as the first Anglican Bihop in 1864. Read Also :- How To Disable Blue Seen Tick Marks In Whatsapp? Why He Translated English Bible To Yoruba Bible ? Rev. Dr.Ajayi Crowther translated English Bible into Yoruba bible so that people of Yoruba land can understand bible very easily. It was necessary for the people of Yoruba land. He translated English Bible into other languages also because he felt that people were feeling inconvenience regrading language. So it was a thing to consider at that time and Dr. Ajayi Crowther paid attention to it. Now you will have Yoruba bible version on your phone which you can use anywhere such as home, outside of home and churches. There are two ways to download Yoruba bible app on your phone. Method 1>> You can get get it directly from Google Play Store for free. Simply go to Google Play Store on your Smartphone and search for Yoruba Bible there and click on Install button. After the installation is complete you can open it and can use it further. You can directly go to the page of Yoruba app on Google Play Store by clicking on below link. Method 2>> There is another way which you can use to install Yoruba bible app on your phone. This is apk method. In this method you will be able to get the apk file of this app which you can install on your phone directly. Simply follow the steps below to download and install Yoruba bible app. Go to this link http://apps.evozi.com/apk-downloader . Now copy this link https://play.google.com/store/apps/details?id=x.bongzino.android.bible.translations.yor. Paste the above copied link in that apk downloader and click on generate apk. This will generate apk file which you can download easily and then transfer this apk file on your Smartphone and install it easily. That's it. Now you can use this app wherever you want. So this was all about how to download Yoruba Bible app for your Smartphone. If you have any problem regarding this article then feel free to comment below. I will reply to your questions as soon as possible.